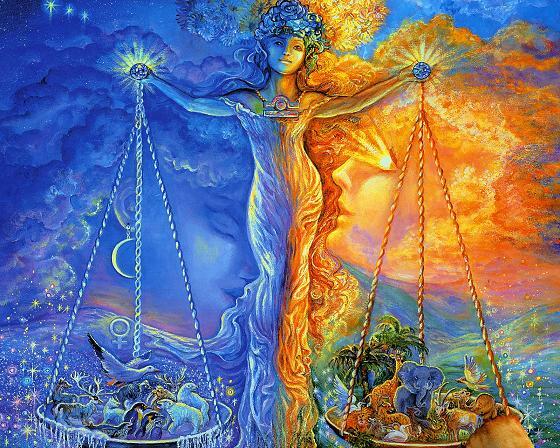 Libra is the liberal one..
Love in all be what we See..
Love is but the key we use..
Love for all be what we fuse.. They say we are a sphinx in time..
Zebra be the coat we mime..
Judgement's not our way you See..
Fussing when we cannot do..
Tell Us to and we may boo.. Ask Us though, We then may move..
Reasonin' be our best groove..
Finding out the cause to mend..
Whatever be the other end.. Principally we mark the way..
We think at times we've balanced it..
On and on we go til whence..
We understand why else and hence.. The signs are at such logger-heads..
Over Us whom choose to lead.. The mind will balance all within..
Just the trick to find wherein..
We of Us whom dwell in time..
Love to all is guaranteed..
Leave us be to balance please..
World up-Heave-All's hell fore us..
A turnaround would be a plus..
Eternally We live for Love..
Hit this link for More Libra Tattoo Designs. See a printable Chinese Love Horoscope. More Signs of the Eastern and Western Zodiac.